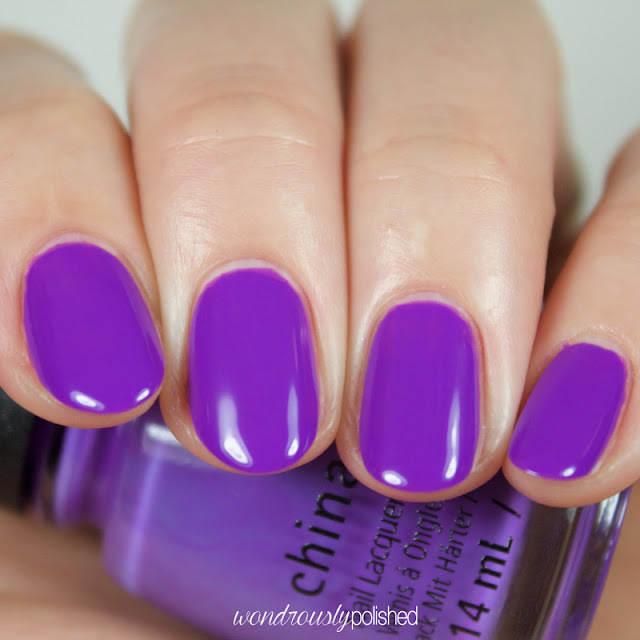 Violet-Vibes is a bright violet jelly creme that dries to a squishy shiny finish. The formula was a little bit tricky and streaky at first, but 3 coats got the job done nicely! 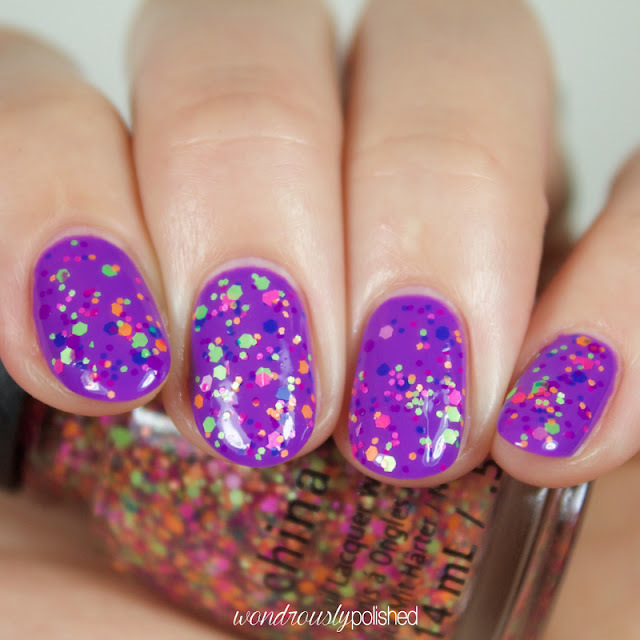 Plur-ple is a softer purple creme that still packs quite a punch. It has the same squishy shiny finish as Violet-Vibes but had a better formula for me. Shown is 3 coats. Glow with the Flow is a neon pepto-pink jelly creme with the same easy squishy jelly finish as the above polishes. Shown is 3 coats, though it was a bit patchy in some places. Red-y to Rave is a fluorescent orange-y red...but it definitely leans more orange than anything. The formula was easy enough to work with and shown is 3 coats. 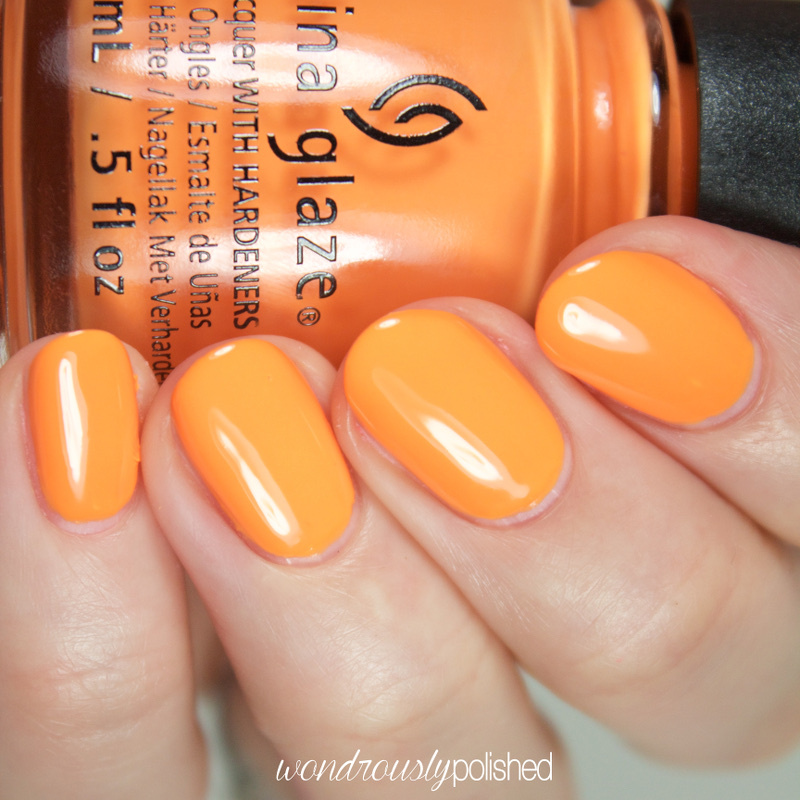 Home Sweet House Music is a soft neon orange creme that leans a bit toward tangerine. 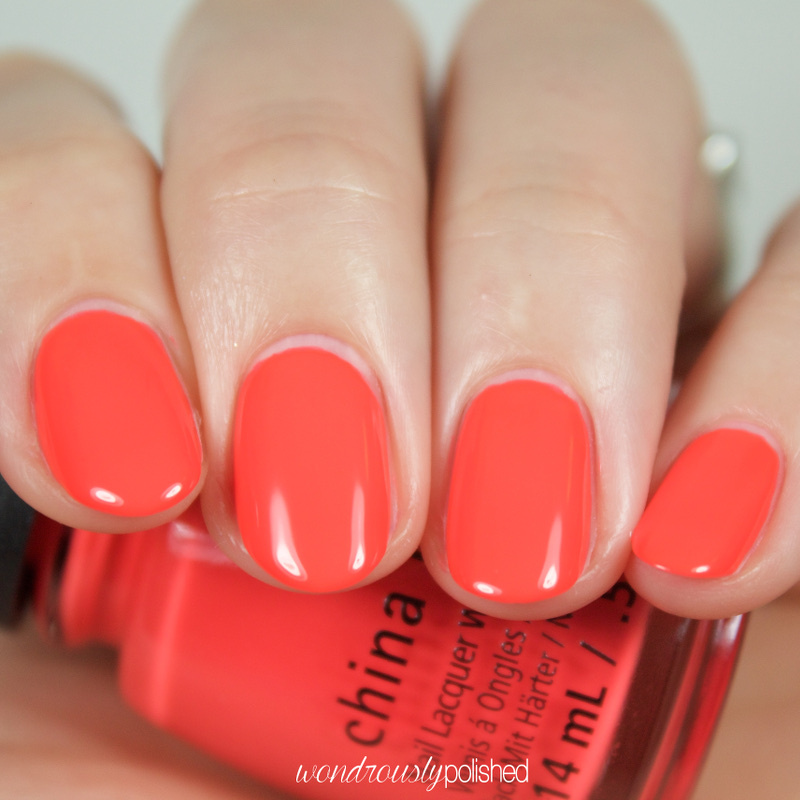 It's a great shade! The formula on this was a little bit thick and tricky to work with, but 3 coats got the job done. Daisy Know My Name? 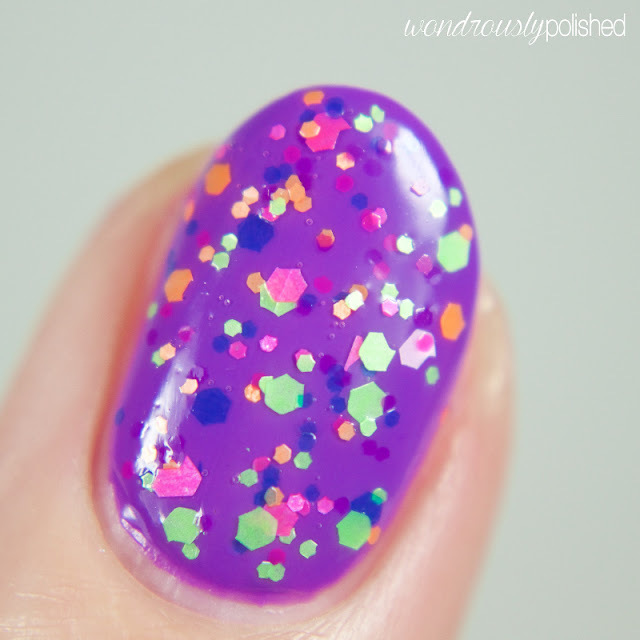 is a bright neon jelly that is pretty sheer on it's own so if you don't like visible nail line, try using a base polish first. Shown is 3 coats. DJ Blue My Mind is a vibrant ocean blue jelly creme with a great formula. Really love this one! Shown is 2 easy, breezy coats. UV Meant to Be is the other blue of the collection and it's just as pretty! 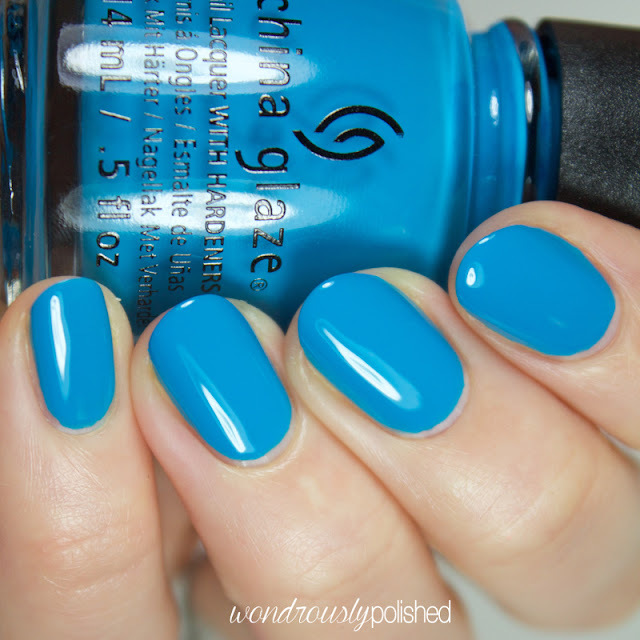 Is a sky blue creme with a great formula and shown is just 2 smooth coats. Treble Maker is a glowing spring green creme with a similar formula to the two blues of the collection. 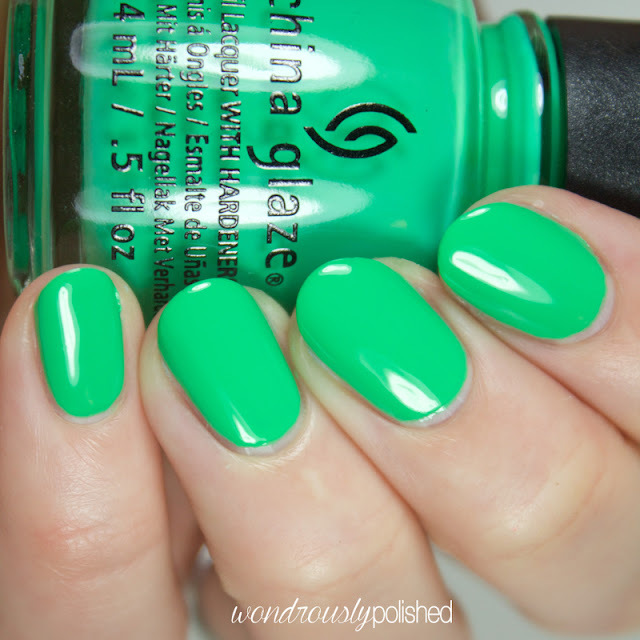 I love this shade of green, perfect for spring and summer. Shown is 3 easy coats. 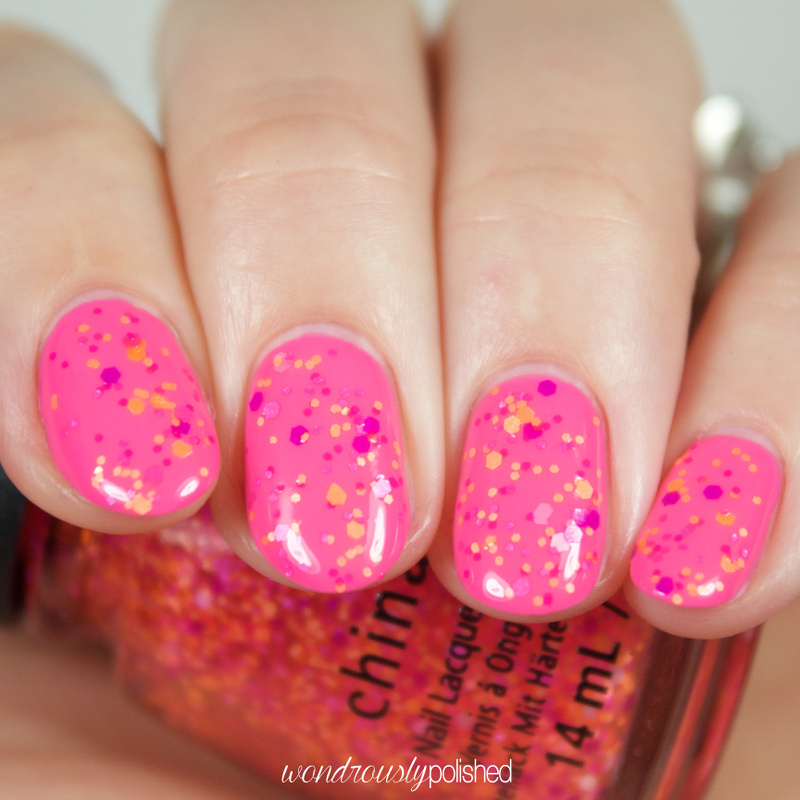 Point Me To the Party is a neon green, orange, blue, and pink matte multi-sized hex glitter that is seriously fun. I love this topper! Shown is 1 generous coat over Plur-ple! 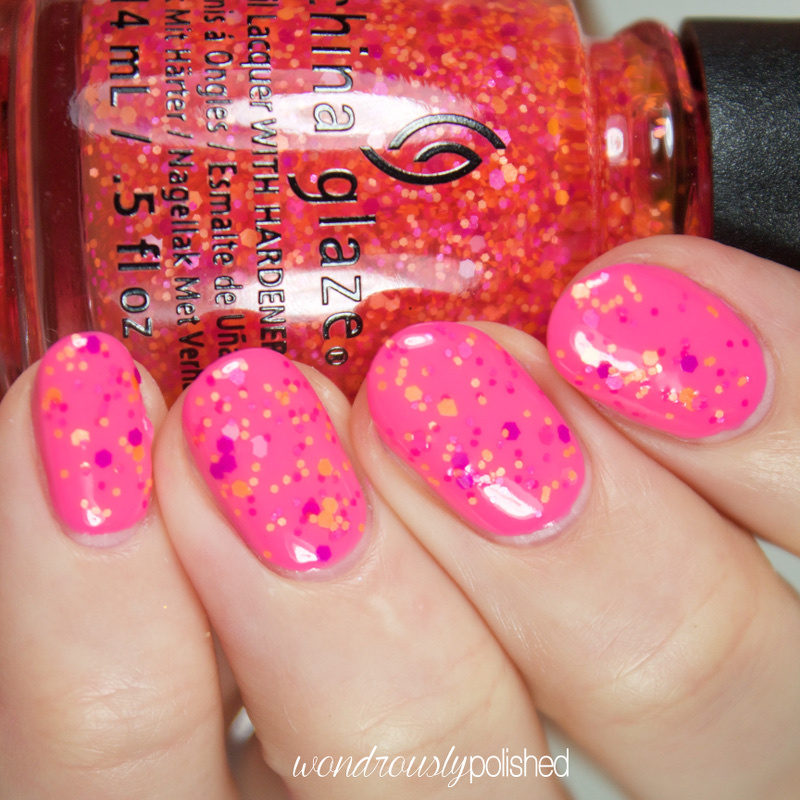 Let the Beat Drop is a bright orange and pink matte hex glitter in various sizes that is insanely bright and insanely awesome. I love the mix of pink and orange! I feel like orange is an underutilized glitter shade so I'm happy to see it here :) Shown is 1 generous coat over Glow with the Flow. 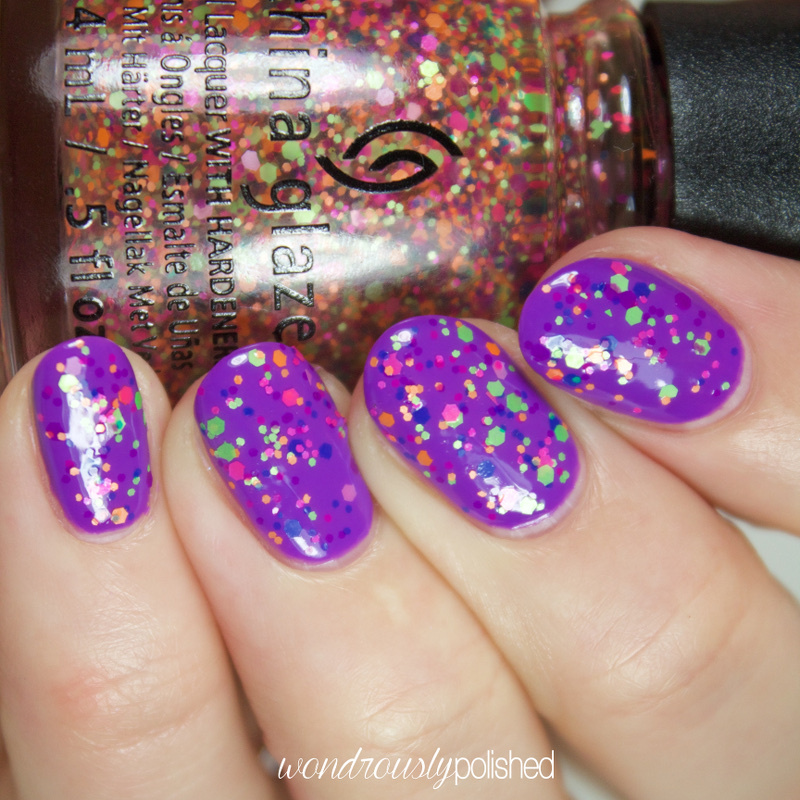 Can I Get an Untz Untz is a neon blue, green and purple matter glitter topper that I'm once again loving. 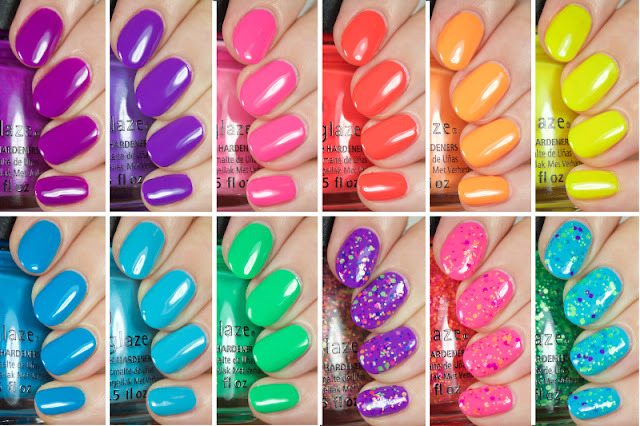 I really liked each of the glitter toppers of this collection! Formula was nice on this one and shown is one generous coat over UV Meant to Be. You can purchase this entire collection now from your local Sally's Beauty, Ulta, or your favorite online e-tailer (like Live Love Polish). 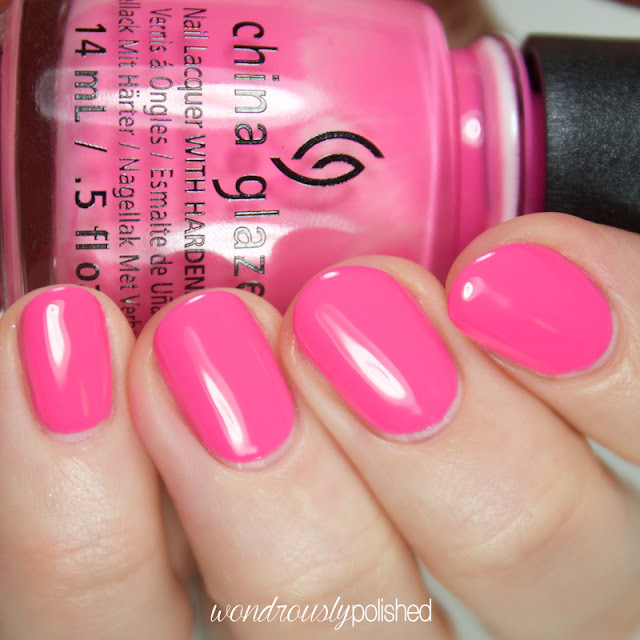 Be sure to follow China Glaze on your favorite social media site to stay up to date with their latest collections and promotions!